I’ve been a love and relationship coach for quite some time now, so I know how painful a breakup can be. You’ve invested so much, you’ve built so much, and you had such high hopes for the future. You’re thinking, “My ex is my best friend and I’ve lost it all.” Now it feels like you’ve lost everything you shared and it’s all gone down the drain. To make matters worse, your ex was actually your best friend! Now it feels like you’ve lost your partner and your best friend. So what happens now? Do you want to restore the friendship or do you want to restore the relationship? Whatever the case may be, rest assured. You can restore the bond between you. It’s going to take time and patience, but I am going to show you how to do it right here! Step by step, you’re going to be able to restore the bond between you. Don’t forget that though these situations might be exceedingly difficult, they can be exactly what you need to make your relationship, whether its platonic or romantic, stronger than ever! My ex is my best friend and I just want to be friends again! Sometimes best friends realize that they want to be something more. A relationship buds, and unfortunately it turns out that for them, platonic friendship was a better fit. Perhaps this has happened to you and you’re just wishing that you two had never tried to turn your friendship into something more. You’re thinking, “I miss my best friend” and you’d do anything to go back in time to when you two were best friends instead of boyfriend and girlfriend. I’m not going to sugarcoat it – it’s going to take time. That said, becoming best friends with an ex again is entirely possible as long as you don’t rush things. The most important thing right now is going to be to give the breakup some time. Both of you are experiencing heartache and possibly a bruised ego. Give your ex some space, and focus on healing. Spend time with friends and family, pick up old hobbies, try new activities, get physically active, and spend time in nature. Begin restoring your personal life and make it better than it ever was before! I know that right now it all feels very complicated but I can assure you that being best friends with ex partners is far from impossible. Make sure that you have a clear understanding of why you want to be friends with an ex. You don’t want to end up feeling confused and hurt later on down the line. Be clear with yourself about your intentions – do you want to get close because you truly miss your friendship or because you want to transition from friendship to romance again? If you want to get back together with this person, you’ll find out how in the next section of this article. Do you feel that emotional dependency might be playing a role here? Don’t hesitate to reach out to me if you need help figuring out what to do ! Once you’ve allowed some time to pass and you’re feeling better, you can reach out to your ex. You can ease into it by sending a photo or a meme, saying, “This made me think of you!” Once you begin talking again, you can tell him or her that you’d like to be friends again and ask how they feel about it. It’s important to be prepared for both a positive and a negative response. This is where things get a little trickier. Perhaps you were best friends, and then you became lovers. You’ve broken up but you want to get back together, so what do you do? Right off that bat I can tell you that begging and pleading with your ex to take you back is not going to do any good. It doesn’t matter if you were friends before, it doesn’t matter if your ex became your best friend in the whole wide world, begging will not make them want you back! Every person has their own way of coping with a breakup, but if you make your ex feel suffocated or pressured to be with you, I can tell you right now that he or she is going to run in the opposite direction. The key is to make your ex want to come back to you. They need to feel like the idea came to them – not that you pleaded with them to do so. Ok, so how do you make that happen? First of all, you need to restore the connection between you and you can do this by following the steps I outlined above. You can add seeing each other in the evening as well, just don’t wind up in your ex’s bed right away. We want the sexual tension to build. When your ex was your best friend, you have an advantage. You knew how to make them happy, what they loved doing, and how they had fun. 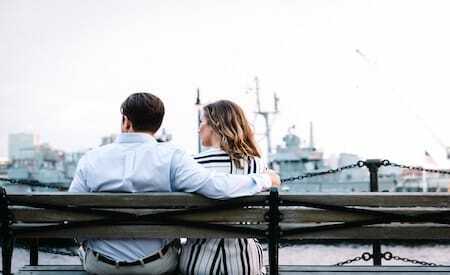 As you begin spending time together, I want you to think about sharing activities that actually help you two to release bonding chemicals like adrenaline and oxytocin. That means that I want you to find exciting things to do together like riding rollercoasters or going paint balling. Get your serotonin flowing by working out together. You can propose going rock climbing or trying out yoga. The more fun you have together, the more your ex is going to want to spend time with you. Meanwhile, you will have worked on making yourself the best version of yourself and he or she will be reminded of why they fell in love with you in the first place. While I don’t recommend sleeping with your ex right away, especially because this that catapult you into a friends with benefits situation, it doesn’t mean that you can’t make your ex think about being intimate with you. Be subtle about this. Make sure you present yourself well and that you’re always dressed in a way that’s flattering and highlights your best physical qualities. Use your body language to subtly communicate your interest. When the time comes to talk about your feelings and the possibility of getting back together, it’s going to be crucial that you have solutions to propose. This means it is so important to take the time to think about what exactly went wrong in the relationship and what you can do about these issues in the future! Defining the root of the issues you had experienced is going to be the key for building a relationship that is better than it ever was before. Don’t hesitate to leave any questions you may have below and it would be our pleasure to respond to you.